Research and persistence is paying off, positioning Australia to finally eliminate the blinding eye disease trachoma from remote communities. The blinding eye disease trachoma is on the cusp of being eliminated in Australia after a team of University of Melbourne researchers refused to accept that a disease gone from wider Australia for a century is still present in some remote Indigenous communities. Trachoma, once known as Sandy Blight because of it prevalence in dusty dry conditions, is a bacterial infection of the eye similar to conjunctivitis. But repeated episodes will eventually scar the sensitive skin beneath our eyelids, causing our eyelashes to curl inward until they scratch the eye itself. Eventually the rubbing eyelashes will scar our corneas, the outer layer of the eye, leaving us blinded by a murky film. Unless treated the blinding will be irreparable by the time we reach 30 or 40. The disease is spread through secretions from the eye and nose, and can be eliminated if children have adequate facilities for washing and drying their faces, and there is sufficient health screening and services to provide the antibiotics and surgery to cure infections and blindness. In recent years Cambodia, China, Gambia, Ghana, Laos, Mexico, Morocco, Myanmar, Oman and Vietnam have all eliminated trachoma using the WHO public health strategy, but in Australia Professor Hugh Taylor, head of Indigenous Eye Health at the University of Melbourne and a veteran ophthalmologist and surgeon, says that until 2009 there hadn’t been the will and the public health policy co-ordination to make a difference. The scorecard is stark. 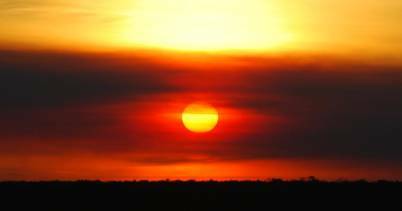 Blindness among Indigenous adults is six times the rate of average Australians. It isn’t a problem just of trachoma, but is also a consequence of higher rates of diabetes and a general lack of eye care services among Indigenous communities that leads to higher rates of untreated cataracts and other vision problems. Some 94 per cent of the blindness in Indigenous communities is preventable, but only 35 per cent of Indigenous adults have ever had an eye examination. Only 20 per cent of Indigenous Australians have glasses for distance compared with 56 per cent of wider Australia. It was the experiences with Indigenous communities that, in 2009, led Professor Taylor to persuade then Prime Minster Kevin Rudd to back a target to eliminate trachoma by 2020. 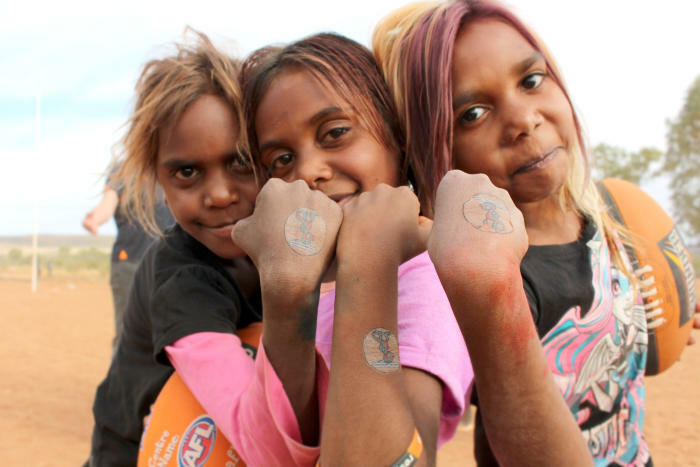 Since then, infection rates among children aged 5-9 in affected communities across the Northern Territory, South Australia and Western Australia have fallen from 14 per cent to 4.7 per cent. Even more significantly, trachoma has been eliminated in some 150 communities, leaving it a residual problem in just 60, including a small number of hot spots. If the government commits to providing ongoing funding for the policy changes beyond the current mid-2017 cut off, trachoma could be wholly eliminated before 2020. Professor Taylor has spent almost 40 years researching and working in eye health around the world. He has helped the World Health Organization develop strategies for eliminating trachoma in the developing world where it is a problem in over 50 countries, with an estimated 84 million people infected. Trachoma accounts for about 3 per cent of the world’s blindness. But Professor Taylor has long been frustrated that Australia, his own home, is the only developed country where trachoma still remains a problem. “It has been a disgrace,” he says. The IEH was set up by the University in 2008 to tackle trachoma and broader Indigenous eye health issues, and has been supported by the Harold Mitchell Foundation and other donors. The IEH’s push to eliminate trachoma has involved implementing the WHO’s SAFE strategy - Surgery, Antibiotics, Facial cleanliness, and an Environment where cleanliness is possible. 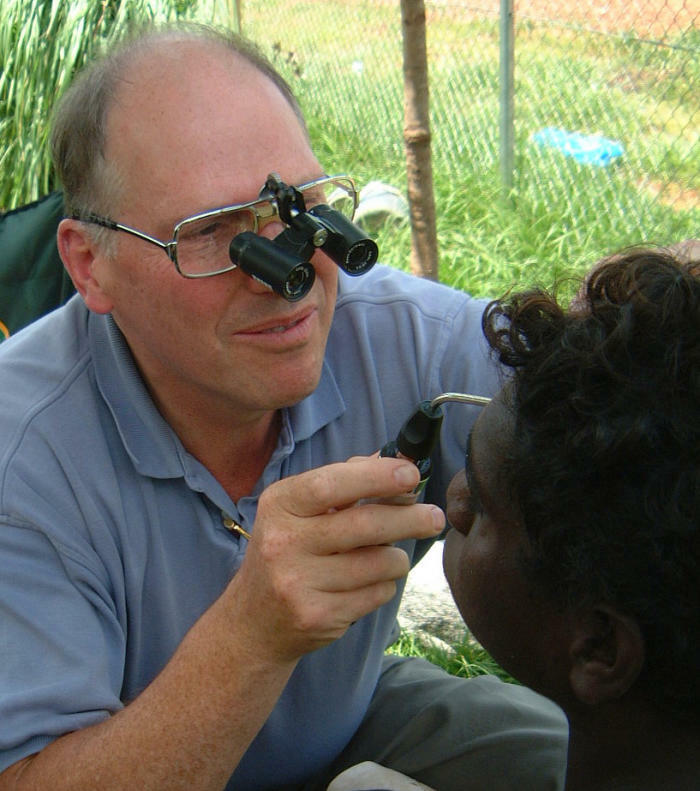 “IEH has a wonderful vision of eliminating trachoma from Aboriginal Australia,” says Professor Shaun Ewen, the University of Melbourne’s Associate Dean for Indigenous Development at the Faculty of Medicine, Dentistry, and Health Sciences. He says IEH has drawn on the Indigenous expertise within the faculty, and has worked closely with the Chair of Indigenous Health, Professor Kerry Arabena, to help advance Indigenous excellence through the faculty. Much of the IEH’s work has been in developing education and messaging strategies by engaging with communities, while constantly lobbying different levels of government to take action and co-ordinate. And the spin off from implementing the SAFE strategy is that there are many other health benefits beyond trachoma. “We have been having a tight focus on trachoma, and that has paid off. But at the same time the action that we have advocated and supported will have a broader impact on a range of other infectious diseases where improved hygiene and better coordinated services, screening and education can make a difference,” he says. Professor Taylor and his team have now developed a set of 42 policy recommendations to boost Indigenous eye health to levels in line with the broader population. He says that could be achieved by 2020 at cost of $16m a year, delivering a long term cost benefit of $2.50 for each $1 spent. Vision loss alone accounts for 11 per cent of the health gap between Indigenous Australians and other Australians. “To tackle most of the big health problems we don’t need a new breakthrough or discovery,” says Professor Taylor. “In many cases what we need to do is simply better apply the knowledge that we already have. That is true of health challenges like diabetes, infectious diseases, heart disease, and many of the cancers, where a big difference can be made with just better screening, education and vaccination. Banner Image: University of Melbourne.